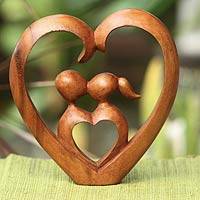 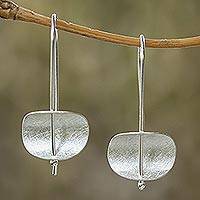 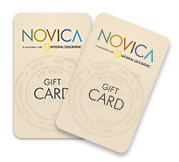 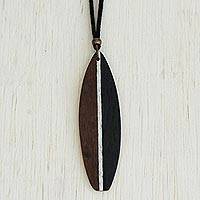 Discover one of a kind sculpture wedding gifts at NOVICA! 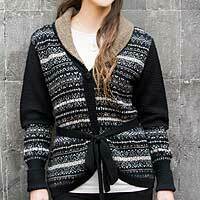 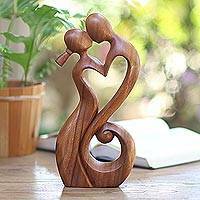 Give the happy couple something they'll cherish and that serves as reminder of their love. 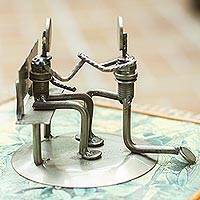 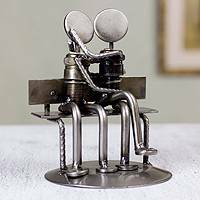 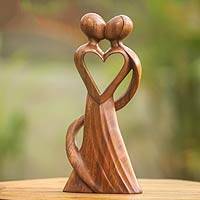 Shop handmade romantic and wedding themed sculptures below. 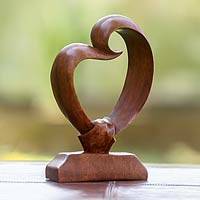 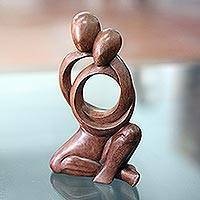 Hand Crafted Suar Wood Open Heart Statuette Home Decor, "Tangled Love"
An open heart proclaims love or friendship in this graceful design. 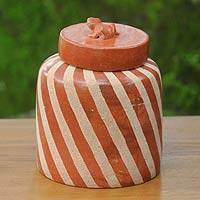 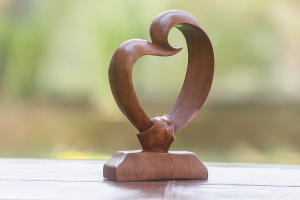 Presented by Made Wirata and hand crafted in Indonesia, this tabletop statuette is carved from suar wood.